Portable Hand-Held Telemetry Simulator. The PHTS108 Telemetry Signal Simulator is a portable hand-held configuration that is housed in a waterproof enclosure and includes a removable “blue-tooth” 12 VDC battery pack. 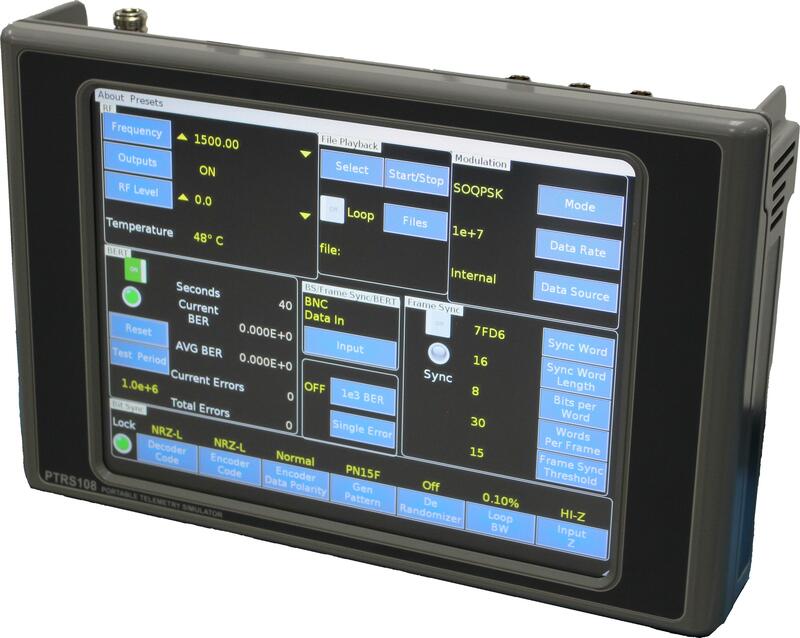 The PHTS108 has a front panel 12″ Touch Screen Control and Display and switchable 115 VAC or 12 VDC battery operation.